Google's new policy, which could be enforced imminently, may give sites a bigger incentive to offer accurate information to readers - or face losing a hefty chunk of their revenue. Facebook is another tech company that has by promoting fake news stories on its social network - amid research that suggests about 60% of Americans get at least some, or all, of their news from social media. 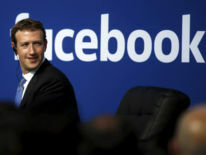 On Saturday, chief executive Mark Zuckerberg said "more than 99% of what people see" on Facebook is authentic. He wrote in a post: "Identifying the 'truth' is complicated. While some hoaxes can be completely debunked, a greater amount of content, including from mainstream sources, often gets the basic idea right but some details wrong or omitted." Google said it was working on a policy change to prevent websites that misrepresent content from using its AdSense network while Facebook updated its advertising policies to state that its ban on deceptive and misleading content applies to fake news.